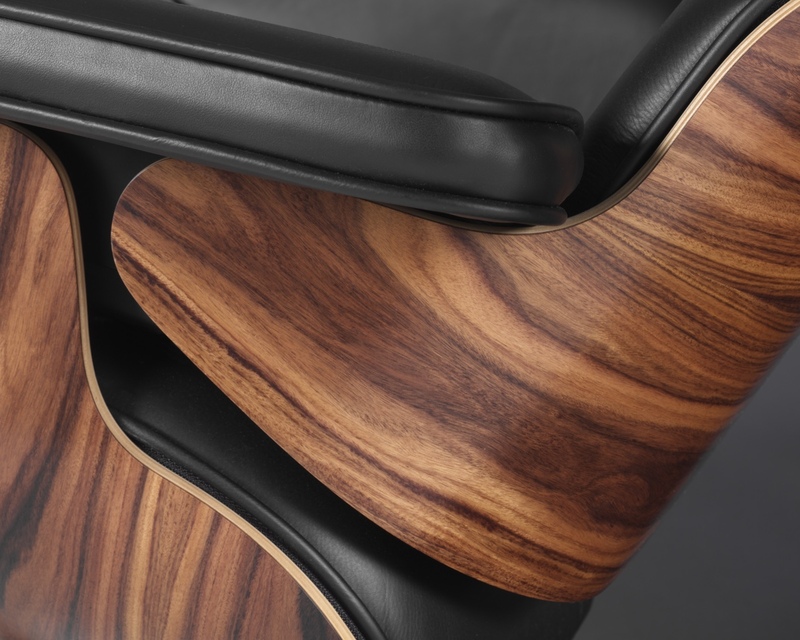 In the 1950s, chair designers capitalised on and further developed the progressive manufacturing techniques devised in the second half of the 1940s. 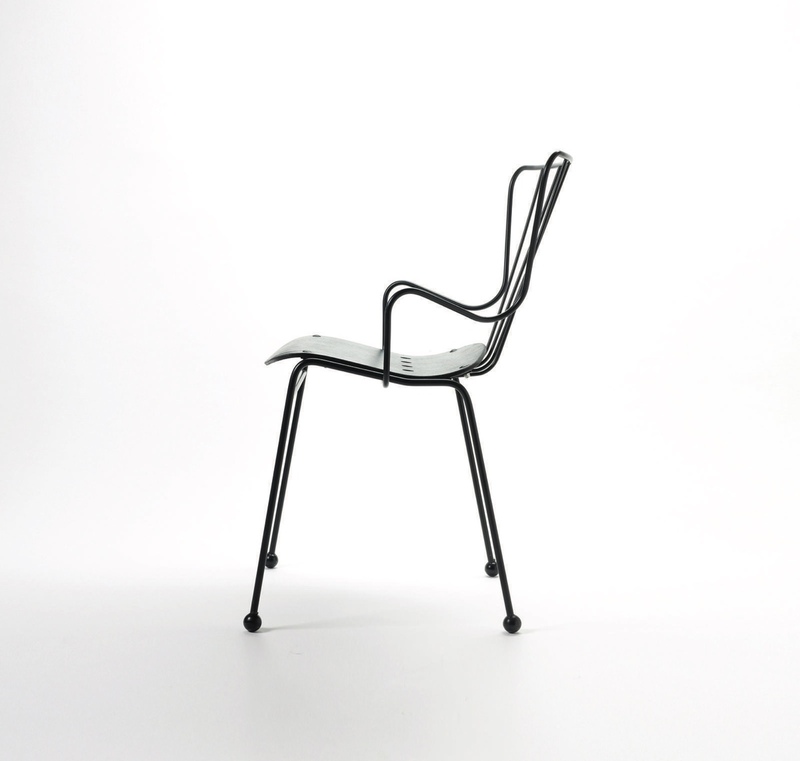 Many chair designs were organically expressed, and greater emphasis was placed on functionalism. 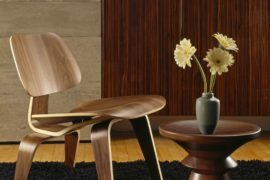 It was in the 1950s that midcentury chair design found a great number of its best-loved icons. 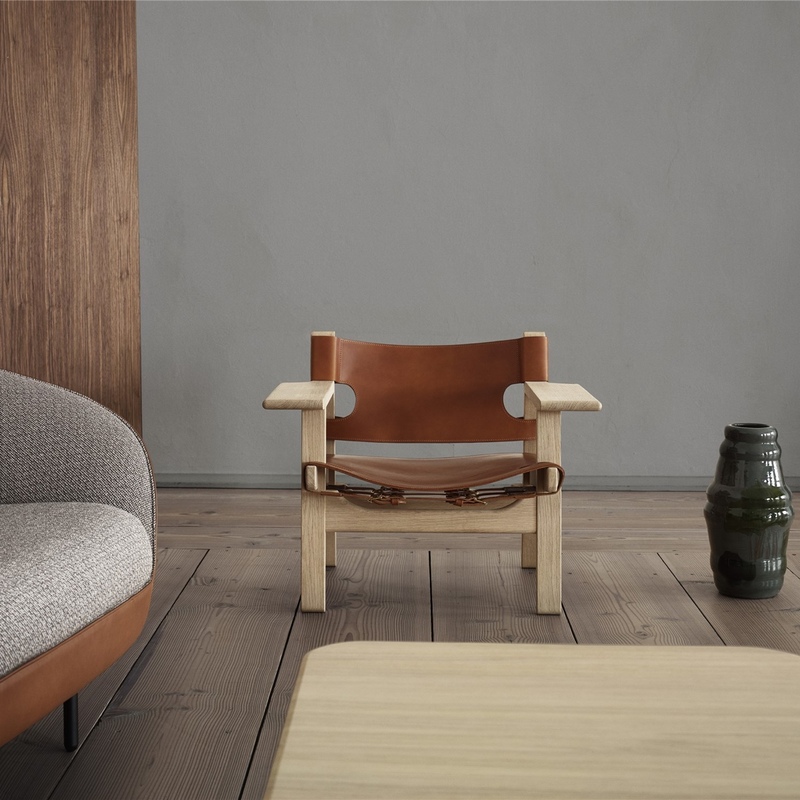 Designed by Børge Mogensen in 1950, The Hunting Chair was presented at the Copenhagen Cabinetmakers’ Guild in the same year. 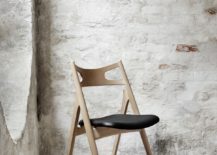 Made using solid wood and saddle leather, The Hunting Chair is a uniquely modern piece with a strong masculine edge. 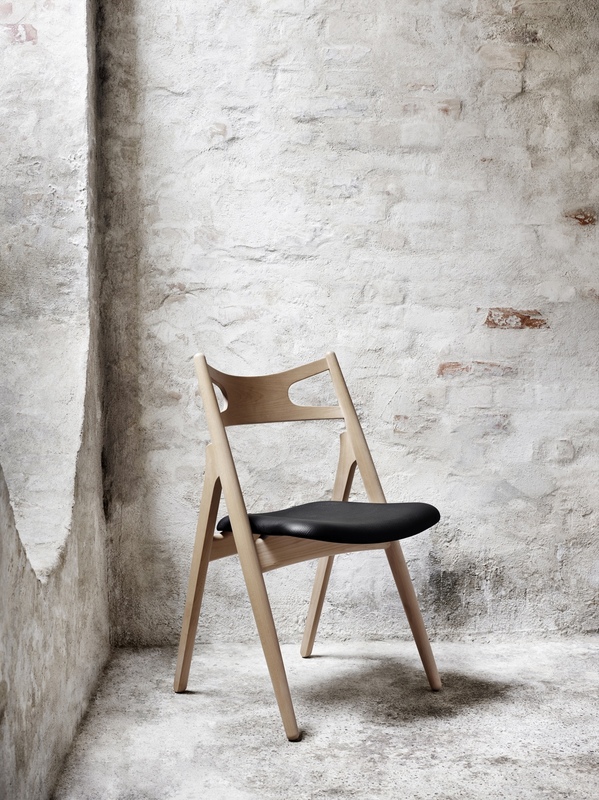 The Hunting Chair in untreated oak with natural saddle leather. 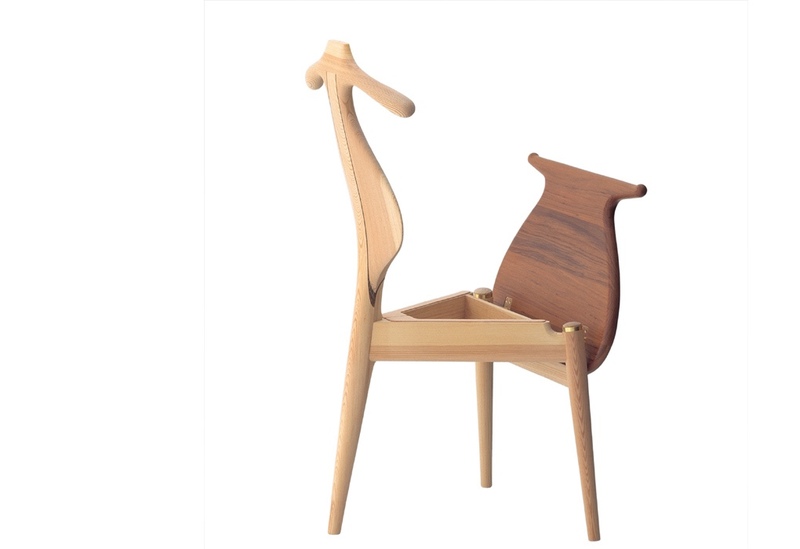 The Hunting Chair in soap treated oak with natural saddle leather. 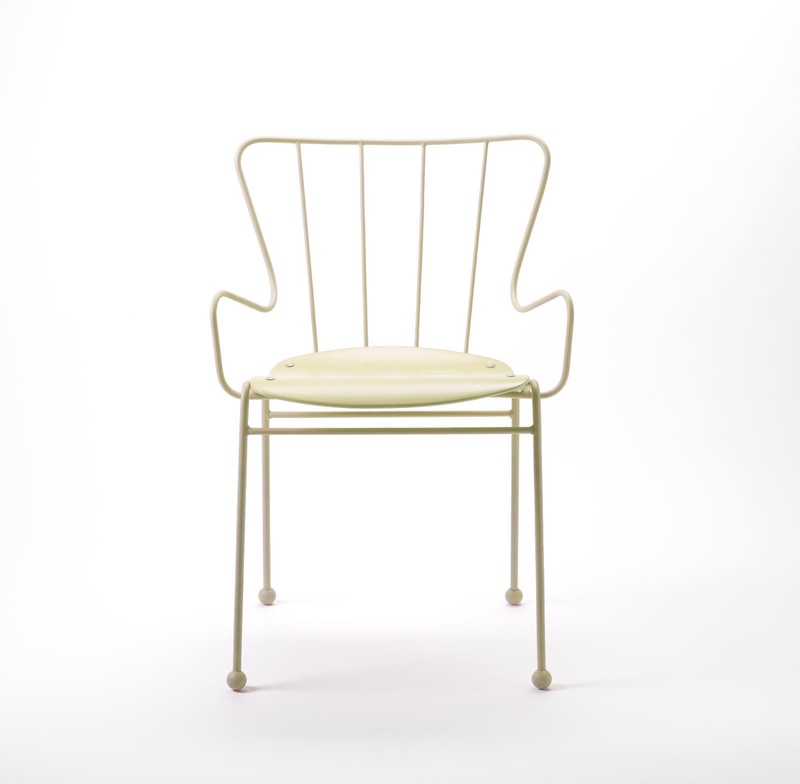 Ernest Race designed the Antelope chair in 1951 for the celebratory Festival of Britain. 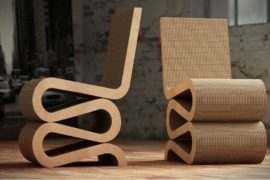 The chair’s moulded curving seat was constructed with Gabon ply and its frame made using bent steel. 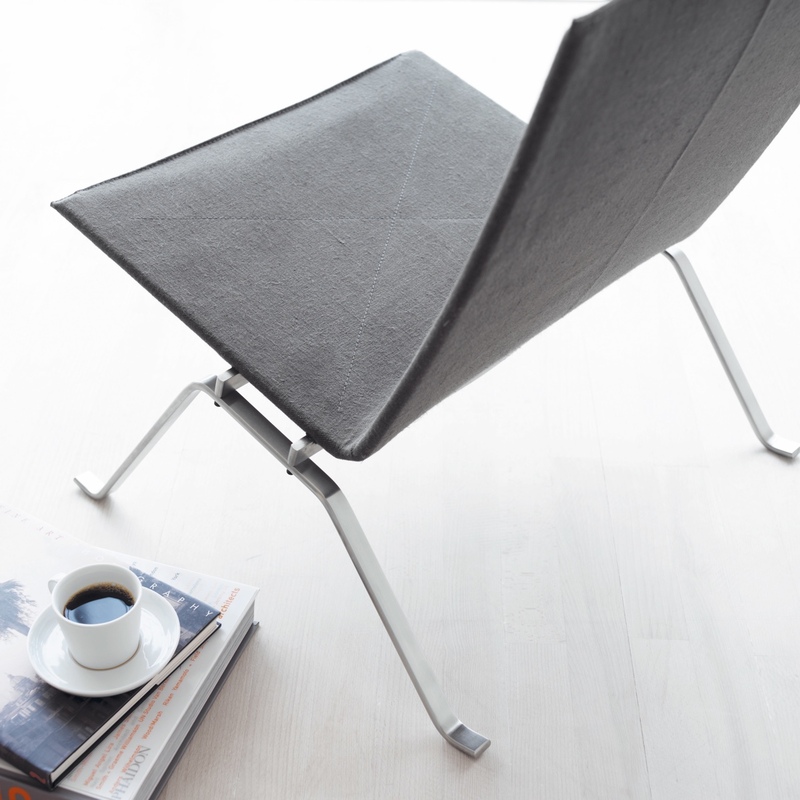 Both elegant and curious, the Antelope chair was awarded a silver medal at the tenth Milan Furniture Fair. Today, it is a recognisable and modish British design classic. 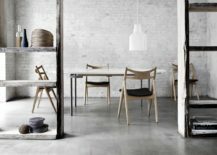 Designed by Hans J. Wegner in 1952 for Carl Hansen & Søn, the CH29 Sawbuck Chair is a quirky and simple seat. 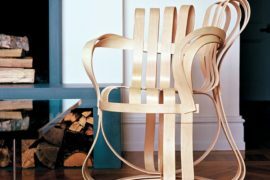 The Sawbuck Chair’s legs bear a resemblance to a sawbuck or sawhorse, a rack traditionally used by carpenters and woodcutters for sawing, hence its name. 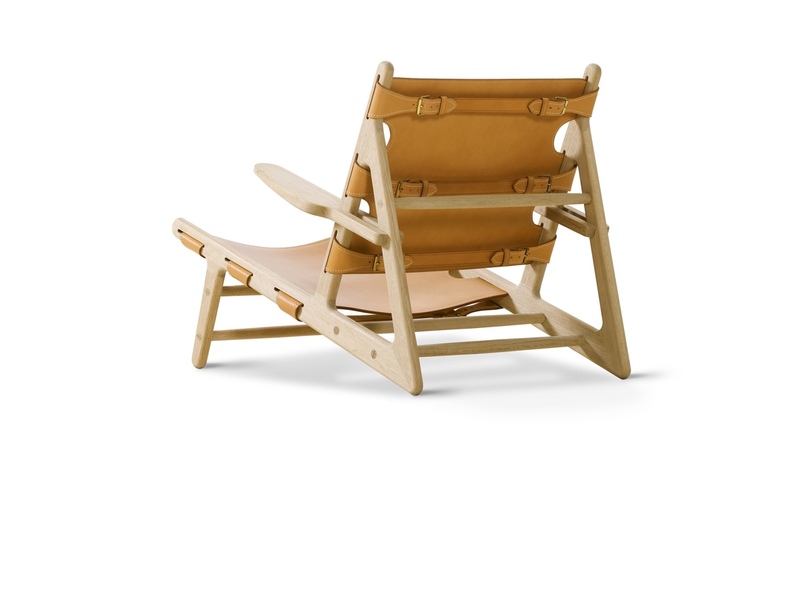 CH29 Sawbuck Chair designed in 1952 by Hans J. Wegner. 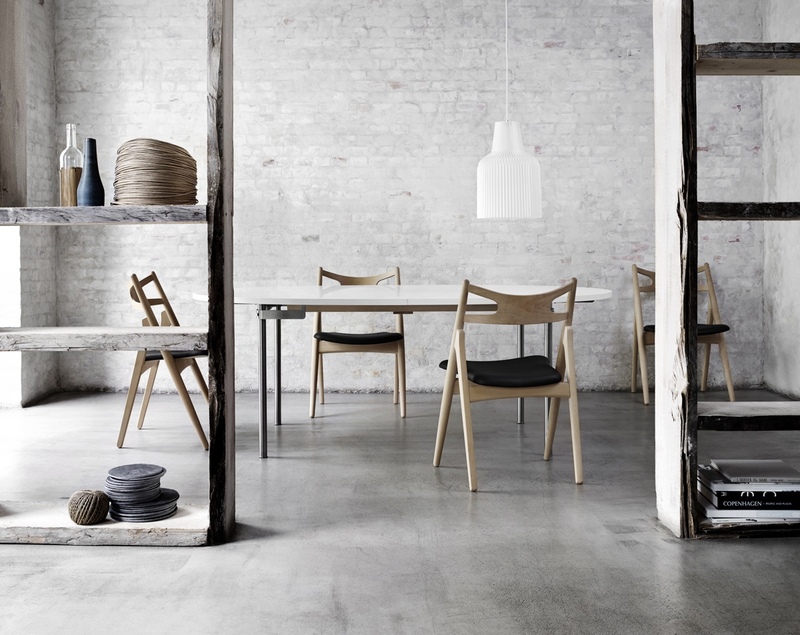 Images courtesy of Carl Hansen & Søn. 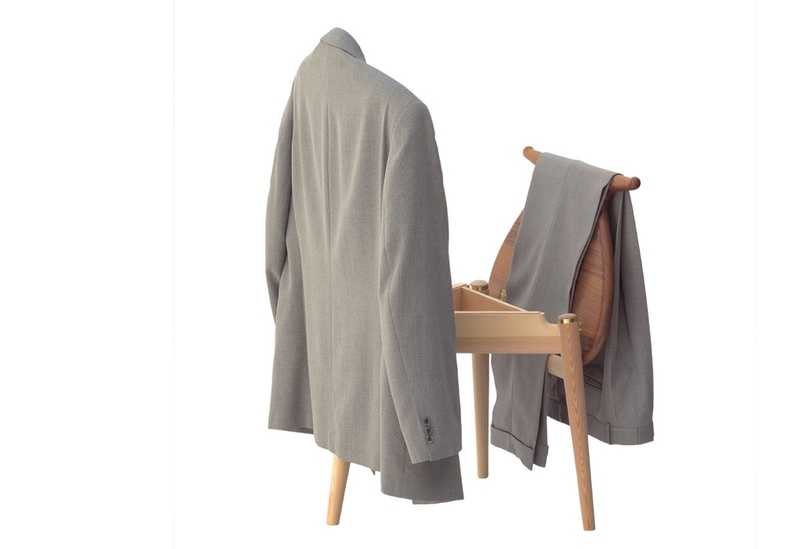 Designed by Hans J. Wegner in 1953, the PP250 Valet Chair is Wegner’s distinct answer to that perennial problem of folding clothes in a neat and practical fashion at bedtime. 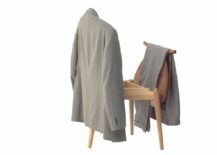 A signature Wegner design, the Valet Chair amalgamates several functions: its back works as a hanger for a jacket; the hinged seat, set in an upright position, is a perfect place on which to fold trousers; the seat box offers a receptacle for keys, a phone and wallet. 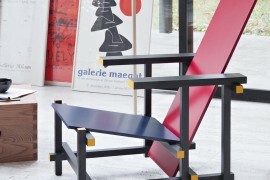 The Valet Chair is made by PP Møbler. PP250 Valet Chair with its seat in an upright position, revealing the seat box. PP250 Valet Chair in action. 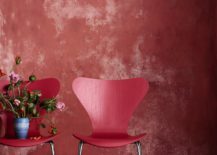 Designed by Arne Jacobson in 1955, the light and stackable Series 7™ chair would propel both Jacobson and Fritz Hansen to furniture stardom. 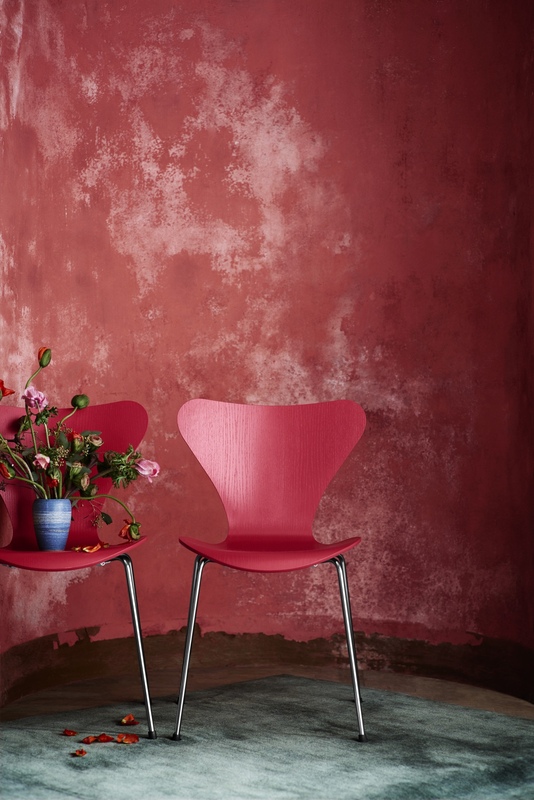 To date, the classic Series 7™ chair has sold more than seven million copies globally (Source: Republic of Fritz Hansen). 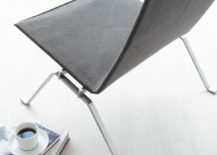 The Series 7™ chair’s iconic profile. 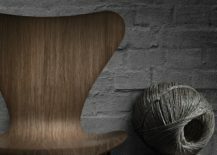 Shown in natural oak. Series 7™ in Opium Red. Designed by Poul Kjærholm in 1956, the PK22™ lounge chair has been manufactured by Fritz Hansen since 1982. 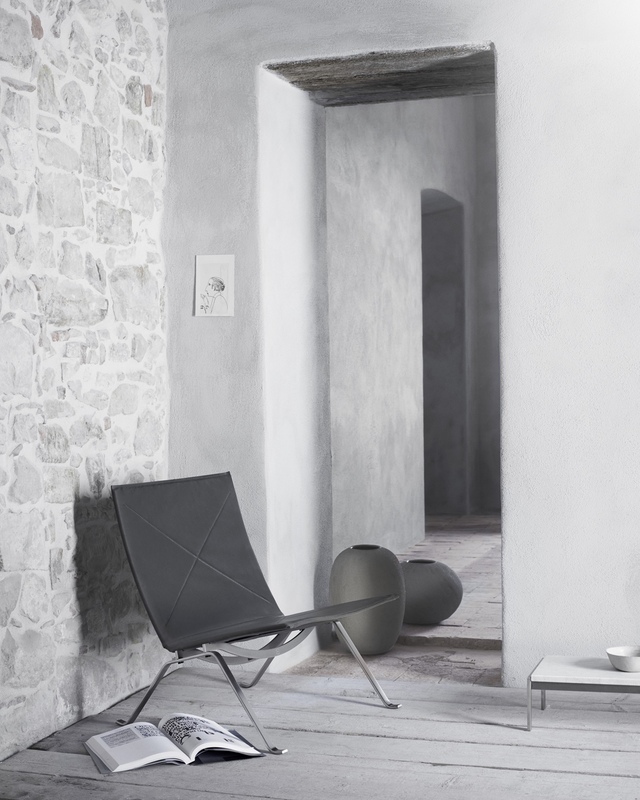 One of Kjærholm’s most successful works, the PK22™ further developed the profile of his earlier PK25™ chair. The diagonal cross-stitching on the PK22™ stiffens the material, allowing the chair to hold its two steel edges at a consistent distance. The PK22™ is available in canvas, leather or wicker. PK22™ lounge chair in black leather. 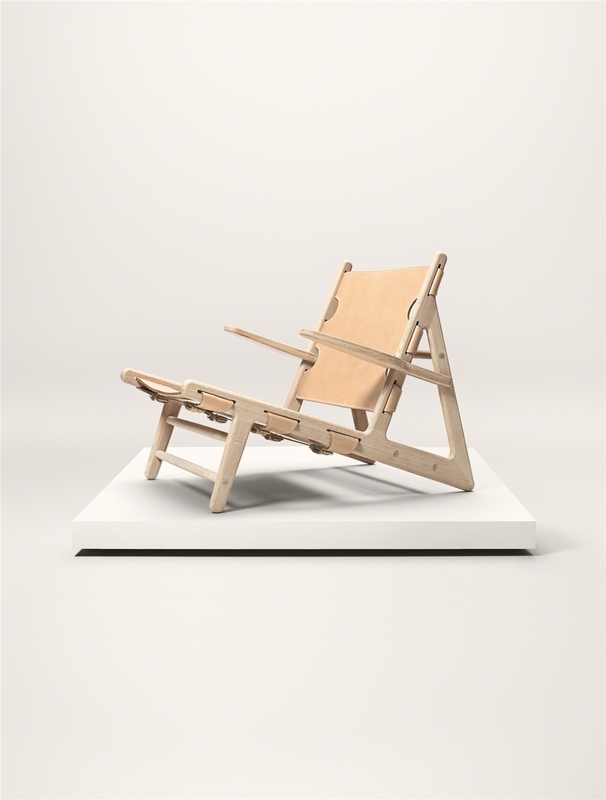 PK22™ lounge chair in canvas. 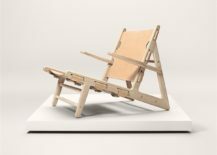 Designed by Charles and Ray Eames and released in 1956, the Lounge Chair and Ottoman have their origins in the Eameses exploration of moulding plywood. Resembling a well-worn leather baseman’s mitt and considered a modern version of the Victorian club chair, the Lounge Chair is an icon of American design. 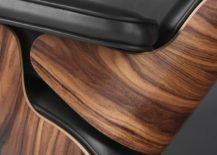 Set together, the configuration of the Eames Lounge Chair and Ottoman is so recognisable that it is a registered trademark. 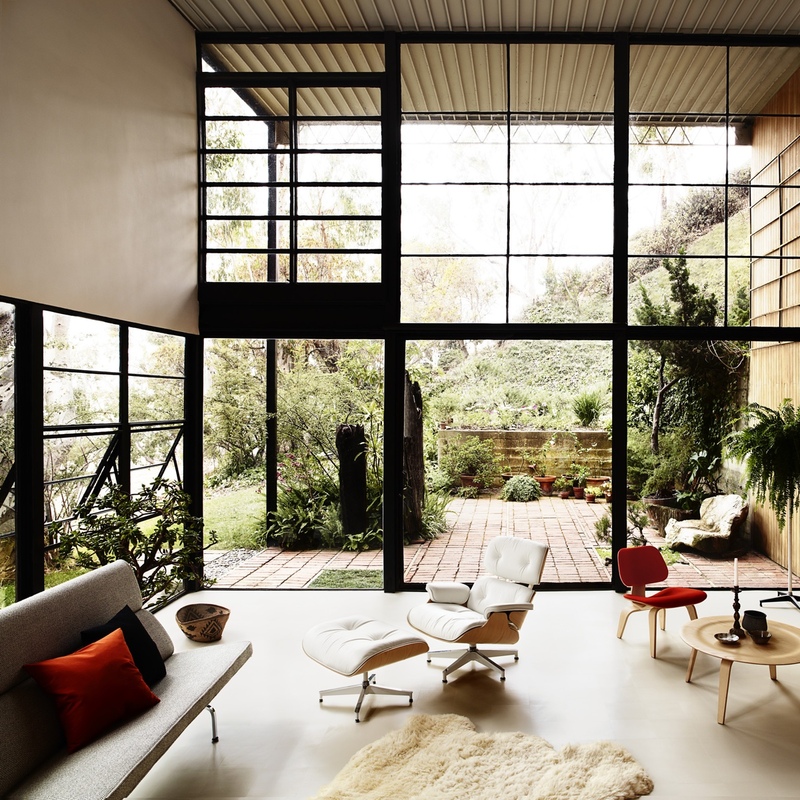 Eames Lounge Chair and Ottoman in the Eames House living room. 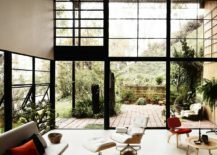 Designed by Achille and Pier Giacomo Castiglioni between 1954-1957, the first model of the Mezzadro stool was presented at the tenth Milan Triennial in 1954. 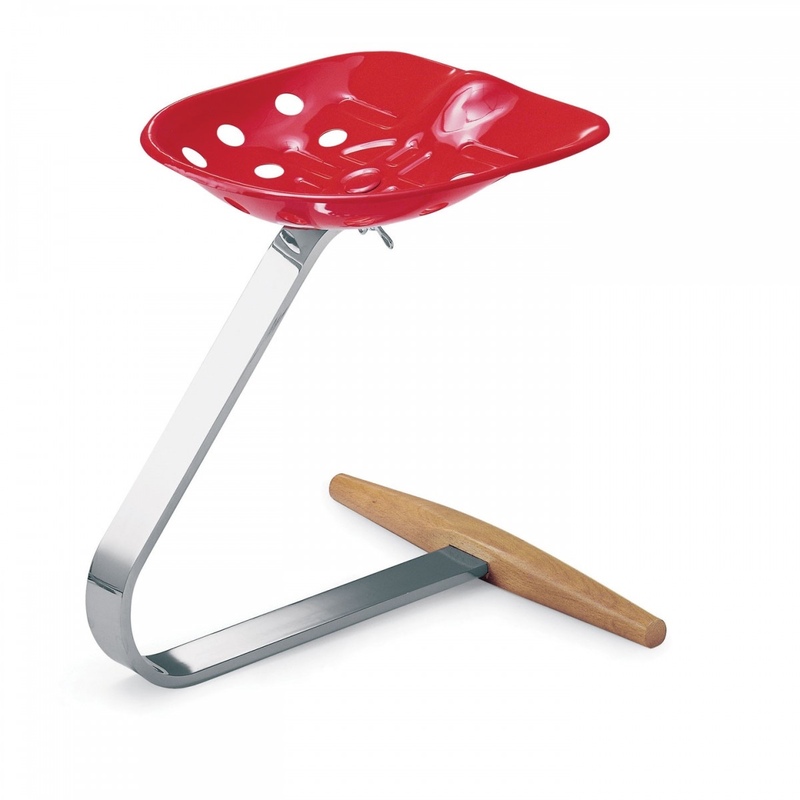 The stool’s present-day form was then finalised in 1957, though would not be manufactured by Zanotta until 1970. 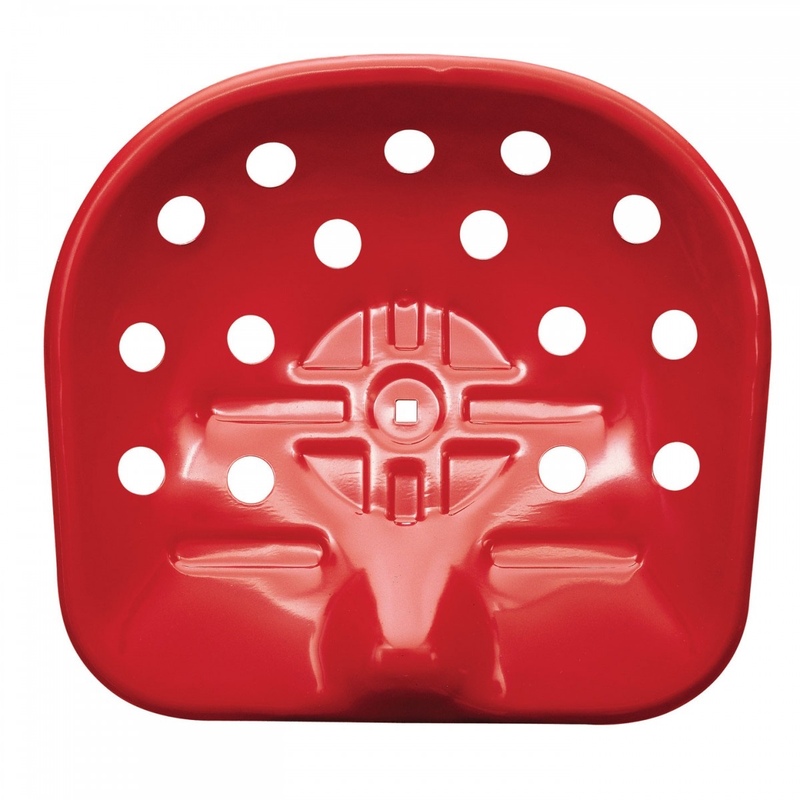 Also referred to as the Tractor stool, the playful Mezzadro utilises a tractor seat design from the early 1900s. Mezzadro stool is also known fondly as the Tractor stool. Mezzadro stool seat with an early 1900s tractor seat design. 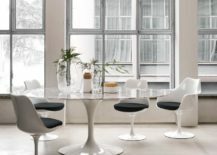 Designed by Eero Saarinen in 1957 and originally known as the Pedestal, the Tulip Chair was Saarinen’s solution to redressing the clutter of chair legs. 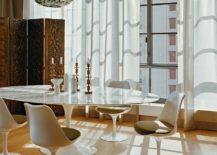 Saarinen had vowed to set right the “ugly, confusing [and] unrestful world” beneath chairs and tables. 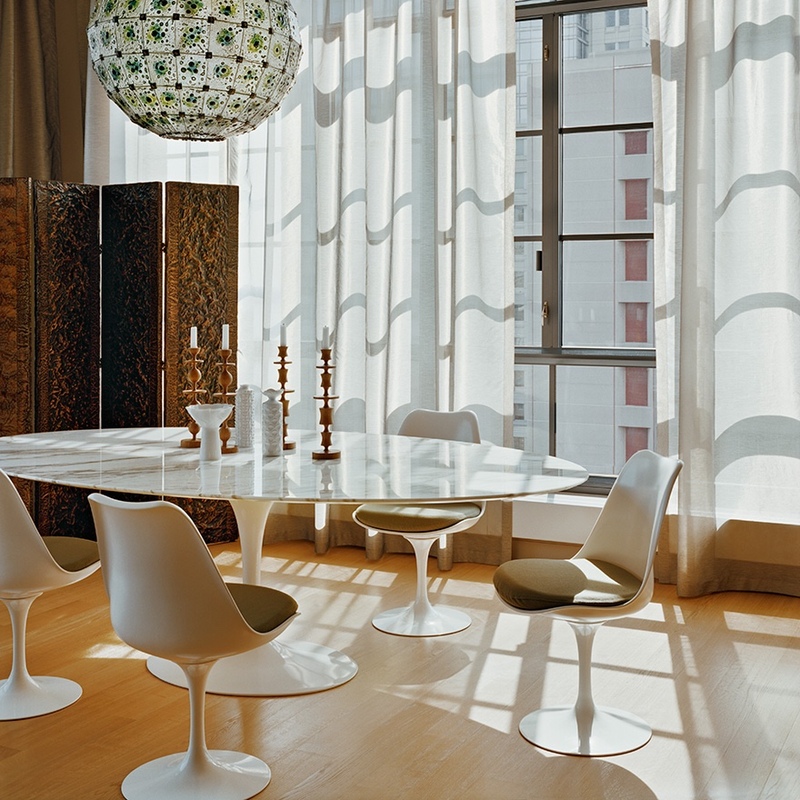 In the Tulip, Saarinen created a veritable design classic and silhouette. Tulip Armless Chair and Tulip Arm Chair. 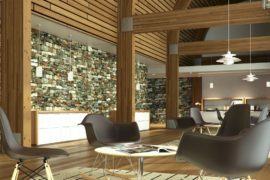 Images © 2015 Knoll, Inc. 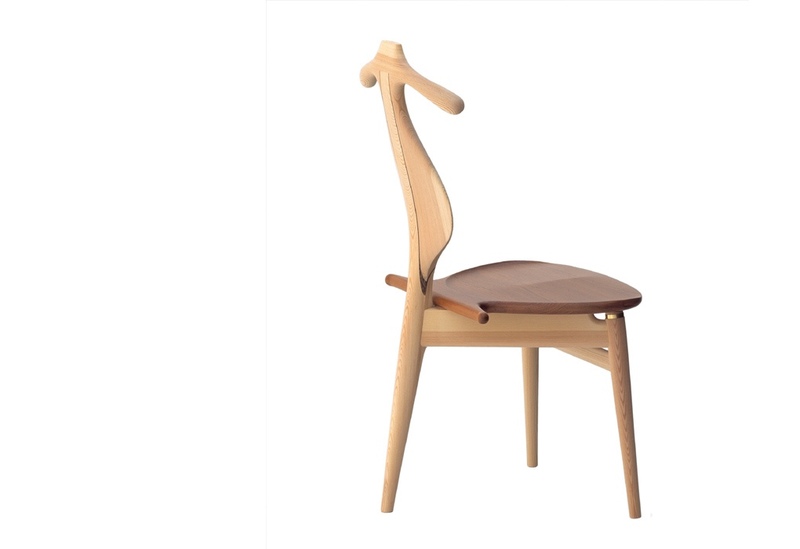 Designed by Børge Mogensen in 1958 for Fredericia, The Spanish Chair is distinctly related to Mogensen’s earlier Hunting Chair and is again made using solid wood and saddle leather. 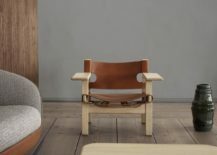 Mogensen’s inspiration for The Spanish Chair arose from a trip through Spain, where he observed a traditional type of chair with wide armrests that was common in areas shaped by ancient Islamic culture. With this in mind, Mogensen designed The Spanish Chair, combining earlier works along with his distinctive functionalist approach. 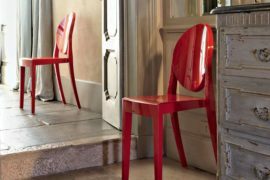 The chair’s wide armrests have an intentionally practical purpose, their flat surface serving as a place on which to rest a glass, so doing away with the need for an occasional table. 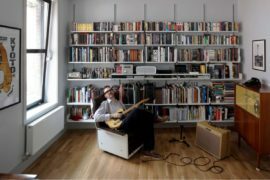 It was Mogensen’s intention that The Spanish Chair’s design would engender more open, relaxed and conversational spaces. 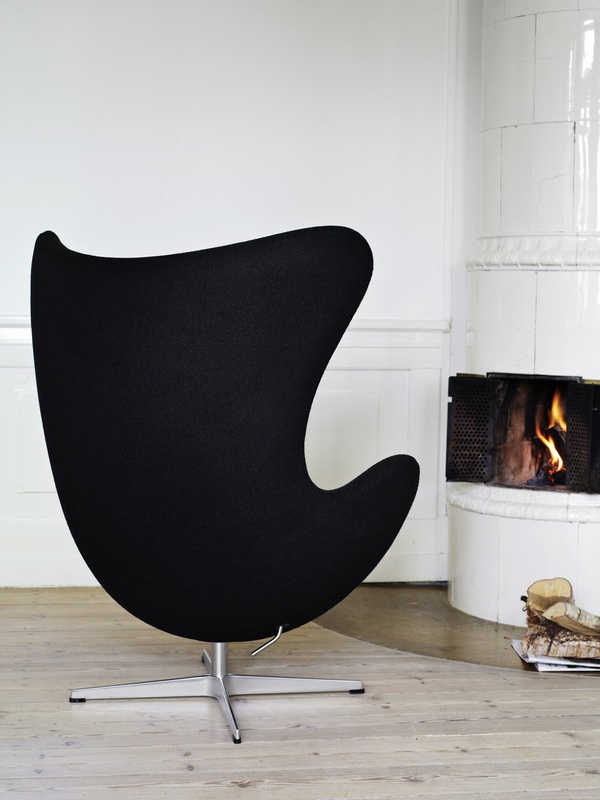 Designed by Arne Jacobson in 1958, the Egg™ chair was a stupendous achievement. 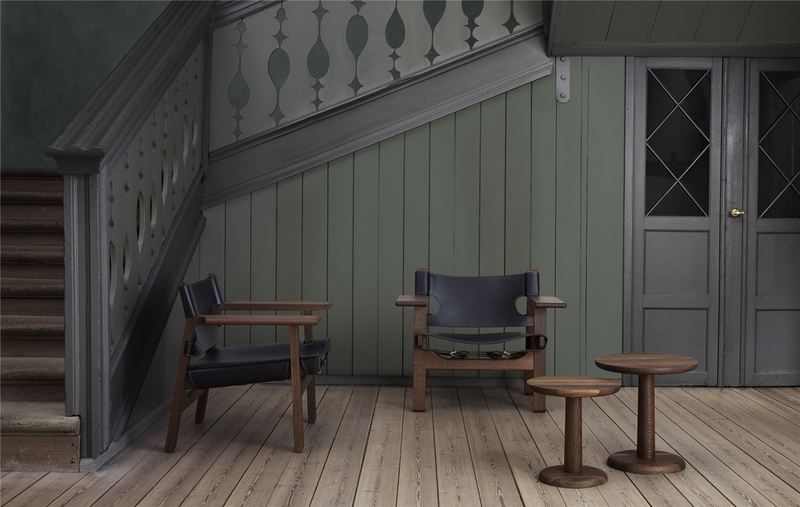 An icon of midcentury Danish modern design, this enduring classic has never been out of production. The Egg™ was a significant component of Jacobsen’s overall grand master plan for the former SAS Royal Hotel in Copenhagen. 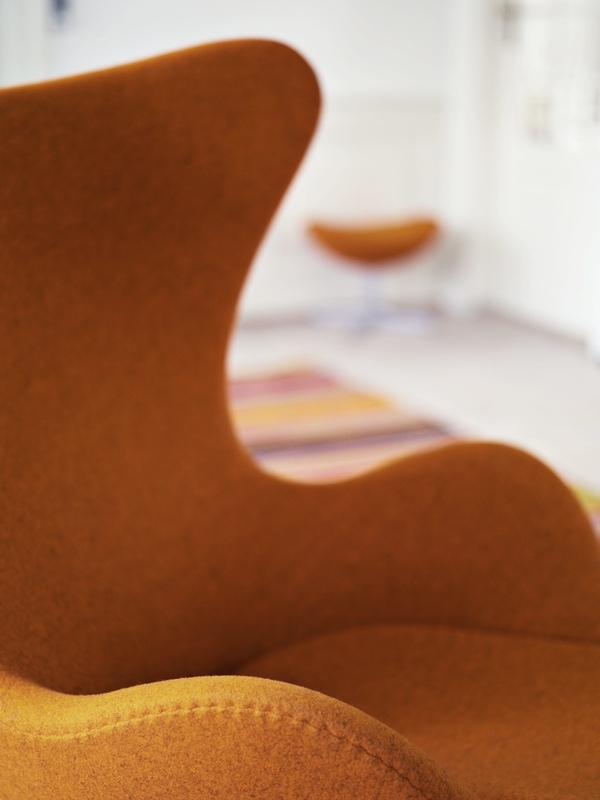 Finding its way into homes and habitats across the world, the Egg™ is a chair crafted with fervour and made for life. 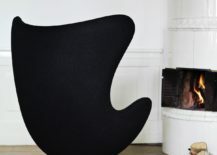 Read more about the Egg™ chair here. 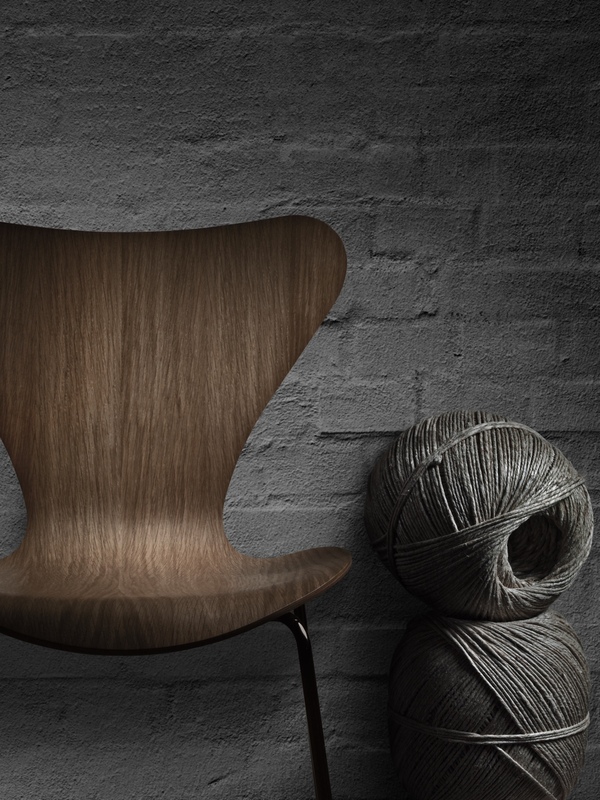 The Egg™ chair’s iconic profile. Upholstered with orange Divina Melange fabric. The Egg™ chair in a private home setting. 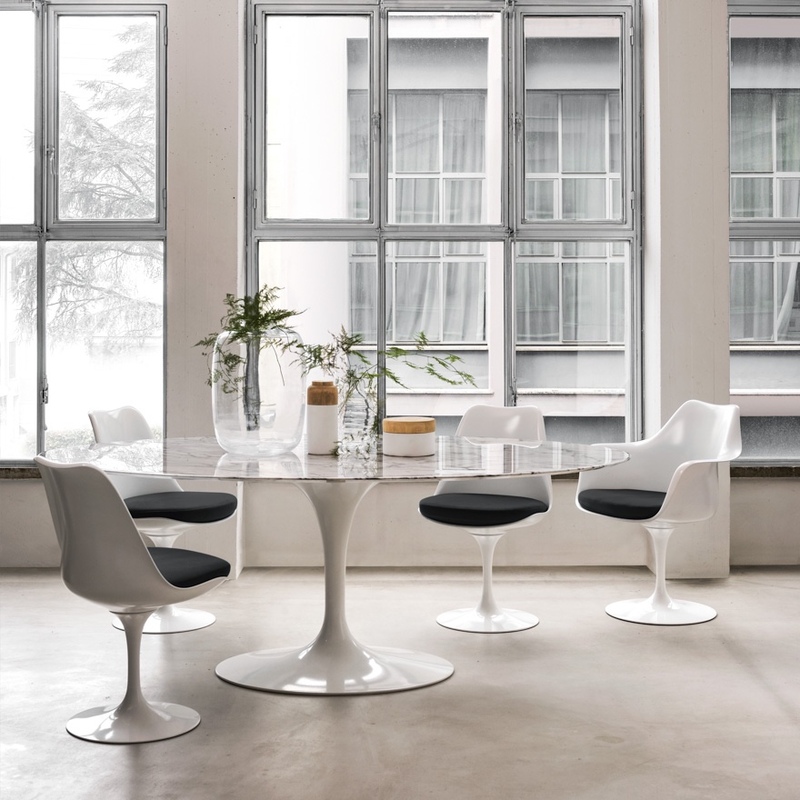 Designed by Verner Panton in 1958, the pop art-style Cone Chair derives its name from its geometric shape. Even today this midcentury chair maintains a futuristic ambiance and profile. 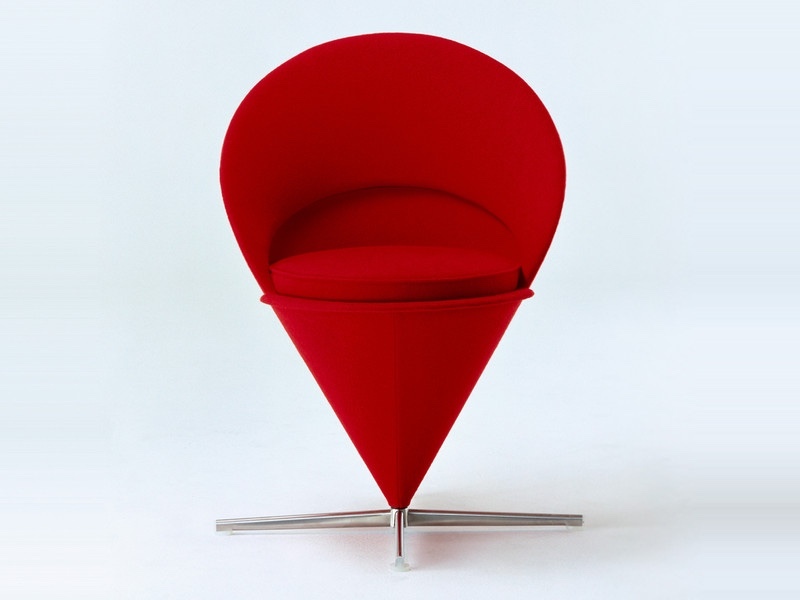 Cone Chair in red fabric. 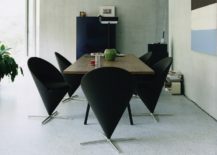 Cone Chair in black fabric.